I recently was approached by some fellow DBA friends of mine inquiring about filtered indexes in SQL 2012 (never really got into them too much in 2008; just on a minimal basis). In researching I found that they could be very useful for what I encounter on a daily basis. What exactly is a filtered index? The best way that I can describe it is an optimized non clustered index that is used to cover queries pulled from a very unique and defined subset of data. In researching, I have found that it uses a filter predicate that indexes a portion of rows in a table; not only can it improve query performance, which we all want, but is also can reduce the index maintenance and storage cost. Everyone always talks about disk storage and how important it is. A filtered index can greatly reduce the storage, especially when a full table index is not necessary. A filtered index is only changed when the data within that filter changes; and if you think about because of the smaller size of the index it reduces the cost of updating the statistics. 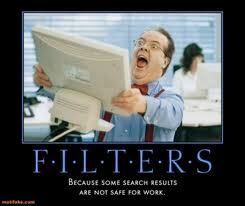 Filtered indexes require Alter permissions on the table or view. The user must be a member of the sysadmin fixed server role or the db_ddladmin and db_owner fixed database roles. With everything else filtered indexes do have their limitations, restrictions, and yes even considerations in how you design them. This entry was posted in SQLServerPedia Syndication, Uncategorized and tagged Filtered Indexes, Indexing, SQL 2012 by Chris Yates. Bookmark the permalink.